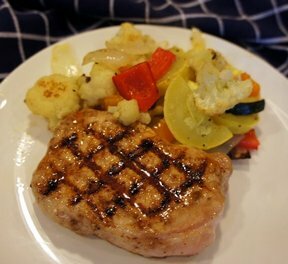 What could top a thick, juicy pork chop or flavorful pork tenderloin grilled to perfection and accompanied by plenty of grilled vegetables? 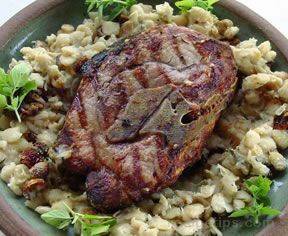 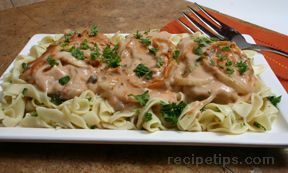 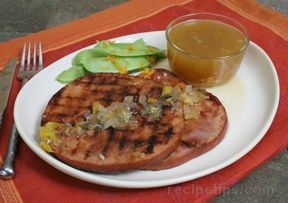 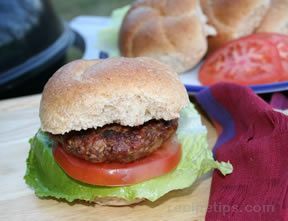 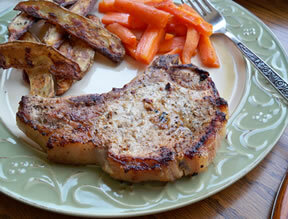 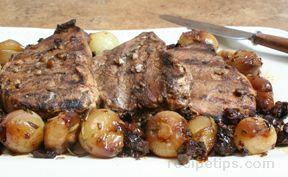 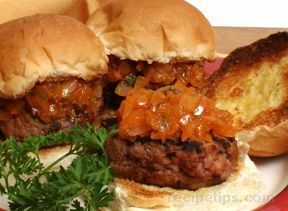 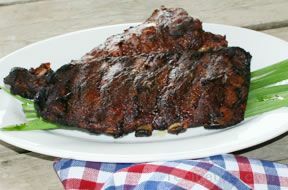 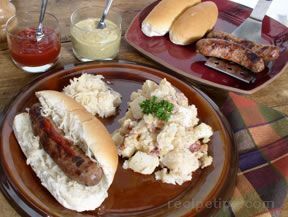 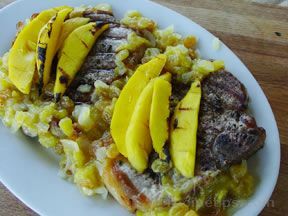 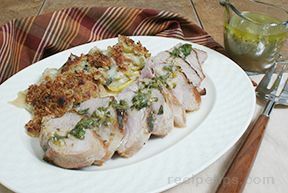 At RecipeTips.com, you'll find these and a variety of other grilled pork dishes to please any palate. 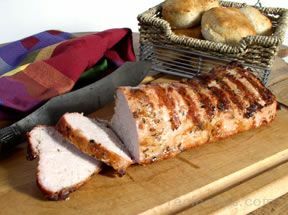 "When you browse our collection of grilled pork recipes, you'll also find a selection of other grilled pork roasts, as well as grilled ham, grilled spare ribs, grilled pork kebabs, and even grilled brats. 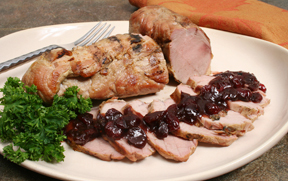 And, our collection of instructional articles will answer all of your cooking-related questions concerning pork. 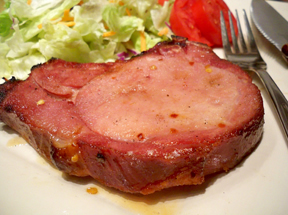 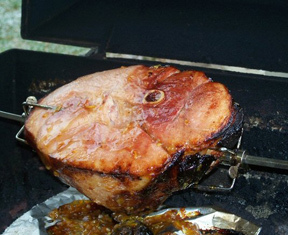 There you will also find step-by-step instructions on how to prepare pork for grilling. 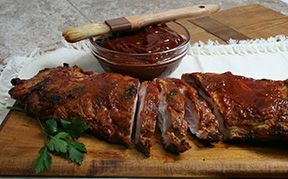 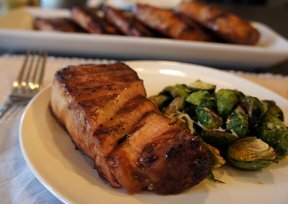 So, fire up the grill, throw on your favorite cuts of pork, and let RecipeTips.com be your source for great tasting recipes featuring pork." 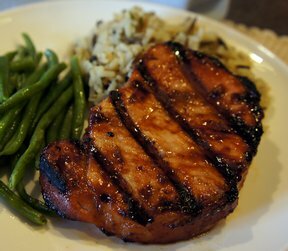 "Looks like some good grilled pork recipes. 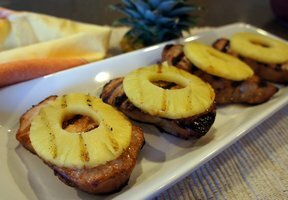 We needed some ideas for grilling pork so we will definitely have to try some of these. 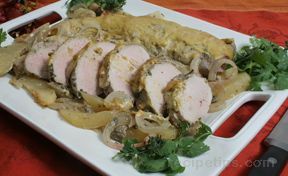 I have a pork tenderloin in the freezer so maybe I will try one of those recipes this weekend."